The digital marketing landscape is evolving at a rapid pace and keeping up with emerging trends in the digital marketing landscape is critically important for today’s marketer. New technologies are being introduced at breakneck speed—changing the way marketing organizations conceptualize and approach a plethora of marketing strategies. Marketers who are outdated put their organizations at risk for being left behind in the dust of forward thinking companies that continuously experiment and work with new increasingly efficient and cost-effective technologies and tools. While marketing strategies aren’t built on trends, there are a number of developments that marketers need to understand in the years to come that ensure they’re the ones creating a storm, instead of having to sniff dust in the wake of stronger, faster competitors! Why content marketing still matters to your bottom line? What is marketing automation and why is it essential now? Does influencer marketing still work? What SEO tactics still works in 2018 & beyond? The rise of social messaging apps. Is your business ready to receive your customers’ messages? Chatbots are becoming the norm. Are you ready for it? What does GDPR mean to digital marketers? What is RevOps and how does it affect marketing organizations? Tracking ROI and attribution is more important than ever. Are you tracking the right metrics? The Facebook algorithms change. What it means for your Facebook marketing strategy. 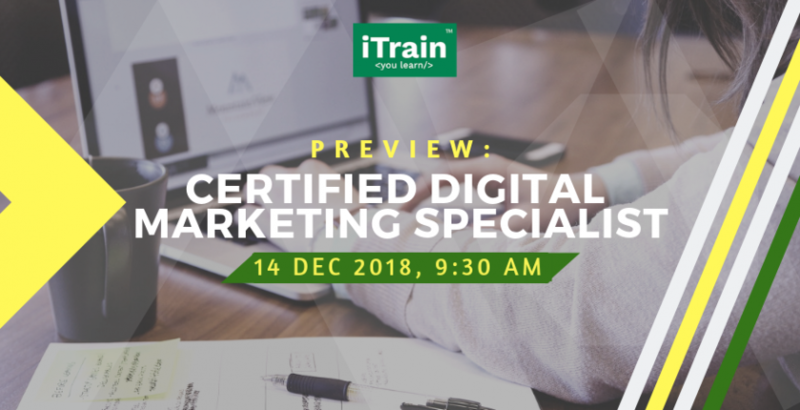 Ideal for all types of marketers or sales development professionals, this workshop helps you cut through the noise and navigate the constantly changing digital marketing landscape by providing you valuable insights into up-and-coming technologies and trends that marketers and brands need to pay attention to moving forward. The workshop will be be conducted in English! Amir is a seasoned digital marketing strategist who has founded and worked with several regional tech and non-tech startups across a range of B2C and B2B industries, including financial technology, travel, F&B and education. He has first-hand knowledge in commercialising his own game-changing technology solution, having co-founded and built an award-winning Fintech startup, CurrenSeek, from the ground up. CurrenSeek is a currency exchange booking and comparison platform that helps travellers and businesses make simpler, safer, more cost-effective and informed exchanges. It also empowers licensed money changers to make their business FinTech ready and expand their reach beyond their shopfront. Amir holds a Bachelor in Science Engineering (BSc) and an MBA which has contributed to his affinity for the technology space and strong ability to leverage on data analytics for maximising marketing ROIs.